WE ARE LOOKING FOR a result and service-oriented, responsible and productive couple interested in living and managing on one of British Columbia’s most pristine and privately owned guest and recreational ranches. Your main responsibility is to manage smooth-running ranch utilities, where most equipment and systems work well and guests can enjoy it as if it was a 5 star hotel property. -Providing basic support and services for the property owner, his family and their guests during their visits to the property. -Ensuring that efficient systems (electrical, irrigation, plumbing, etc.) are functioning and well maintained. -Small construction or ranch improvement projects to be done. Experience and skills in work related to property management/maintenance, carpentry, plumbing or electrical engineering, ranch machinery are beneficial, BUT most important is your willingness and ability to work hard and get things done. We provide a house for your family so the ranch will become your home for a long-time. Located near the Invermere/Radium Hot Springs areas in British Columbia. Does this challenge sound interesting for you? If so, please apply by going to the link http://tech.interspeedia.com/jobs/28521.34702.31571 or contact us at [email protected] . For more information please call +16606241311 -Denis. 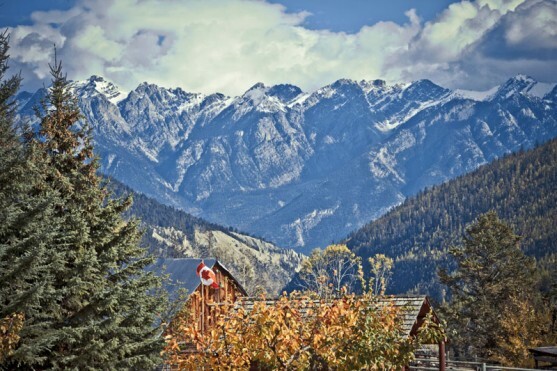 Located just few miles away from Fairmont Hot Springs, British Columbia the 1,286 acre the ranch represents arguably the finest mountain ranch retreat in North America. Virtually surrounded by Crown Lands with significant lake and river frontage, it enjoys an exceptionally private setting with absolutely mind-blowing views in every direction and a pleasing mix of timber and open meadows. The 8,500 square foot lodge, owner’s home, guest cabins and outbuildings are exquisite in every detail. A wide diversity of wildlife, excellent stream and lake fishing, immediate access to heli-skiing, heli-hiking, and over 100,000 acres of comfortable riding and walking country, the package of high-quality scenic and recreational amenities is unequaled in our experience.